Due to the large sums of money involved in a motorcycle accident insurance claim, it is only prudent to hire a professional to negotiate your claim. After all, the insurance company has professionally trained claim adjusters trying to get accident victims to take quick, low amount settlements for their injuries. When should you get a motorcycle accident attorney involved in a claim? This one is a no brainer: ASAP. If it is a relatively serious accident – for example if your bike is trashed and you are injured – we’ll want to get started gathering evidence almost immediately, because some of it will disappear over time as skid marks fade, witnesses forget what they saw, and so forth. I certainly recommend that you contact a motorcycle lawyer BEFORE making any recorded statement. An insurance adjuster has one job: to keep you from getting the full settlement you’re entitled to if you were not at fault. This is not to say that they are bad people, or out to get you, or that it’s personal in any way. In fact it is exactly the opposite. It’s just business to them. If they feel they can prove that you have admitted fault or partial fault (which you should never, ever do before speaking with counsel), they will do what they can to reduce the payout on property damages (as well as medical bills, lost wages, etc.). My job is to help you demonstrate that you were not at fault and are therefore entitled to full damages. Call motorcycle accident attorney Lee D. Gaber, Esq. at 888-cycle-law, 888-292-5352 for a no-cost no-obligation case review. It’s amazing how many of my telephone calls start the same way… The motorcycle accident victim calling for legal help, and advice on what to do, is actually apologizing for needing a motorcycle accident attorney to help with their Pennsylvania motorcycle accident claim! They have nothing to apologize for – they have been wronged and are asking for help. Most of my clients have never “sued” anyone before, nor hired an accident attorney. In most cases, given the severity of their injuries and the losses they have suffered, they want to make sure they are adequately protected and don’t get screwed by the insurance company in their motorcycle accident insurance claim. Is the motorcycle somewhere secure? Do the involved insurance companies know where the bike is? Other than informing the insurance company where the motorcycle is, there should be no further communication between you and either insurance company – yours or theirs. 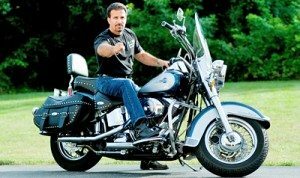 The reason you hire a motorcycle accident attorney to handle your motorcycle accident claim in Pennsylvania is to make sure you are properly represented, and the only way I can ensure that, is to become your “mouthpiece”. Most clients are happy to comply with that request, as most do not want to even talk to the insurance adjusters. Never give a recorded statement about anything to any insurance company. I can emphatically state that nothing good has ever come out of giving an insurance company a recorded statement. The purpose of these recorded statements is simply to help the insurance companies defend themselves against any changes in your version of events, even though many of these statements are given while clients are under the influence of pain medication. If you have any visible injuries from the motorcycle accident, please have someone take clear pictures of your wounds. Many of these injuries involve “Road Rash” and once they heal it’s impossible to re-create the visible impact of the original pictures. 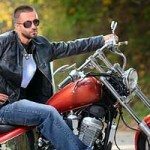 After these preliminary instructions are given and I ask some questions to get a thorough understanding of the facts involved in your PA motorcycle accident. I explain that we are not “Suing” anyone. What we are doing is simply making sure the insurance companies are aware that a motorcycle injury claim is being made and making sure the claim is properly set-up. This helps the insurance company understand the type of exhibits the motorcycle accident attorney will be showing the jury, if an attempt at an amicable motorcycle accident settlement fails motorcycle accident lawyers gather all damage information for the claim. Your motorcycle attorney will also gather all wage loss documentation, and will do an investigation to find out if there are any motorcycle accident medical bills which have gone unpaid. Finally, many health insurance companies now contain a “subrogation” clause which means that they are entitled to get the money they paid for your medical care back. As such, a motorcycle injury lawyer has to obtain the necessary documentation which proves they have an enforceable right of subrogation. When all of this proof seeking is accomplished, I set up a conference call with you to go over the entire case and discuss my views on the value of your motorcycle accident insurance claim. We usually begin with a series of questions designed to help us understand how the motorcycle accident happened, were the police or EMTs called, did you sustain personal injury and if so to what parts of your body? From this point forward, and after the motorcycle damage is taken care of, we begin to put together our clients’ motorcycle accident claim to the insurance company. What if you don’t have any health insurance or don’t have a family doctor? This is where motorcycle accident attorneys protect your rights. In many cases we represent clients who do no have any medical insurance. Our goal is to get all injuries taken care of and reimbursed. Once we are satisfied that your medical treatment is under control we move forward and make sure that your bike is in a safe place and not racking up unnecessary storage fees. My next step as your motorcycle accident lawyer is to obtain the name and insurance information on the other party. This can be as simple as calling the police, or perhaps you already have a police report. In the worst case scenario, depending on the police department, we may have to obtain the police report, which can take from three days to three weeks. At the same time this is all going on, we are gathering your motorcycle insurance information, and in some cases your automobile insurance information. Depending on how the accident happened, we are also getting our investigators out to the scene of the motorcycle accident, to document road conditions and make sure the police report is accurate. From there, the claim is filed and negotiations begin in earnest to get the insurance company to settle the motorcycle accident claim in a high enough amount to take care of your bike, injuries, bills and to compensate you for everything that occurred as a result of the accident. 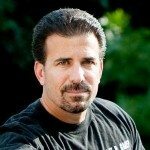 My years as one of Pennsylvania’s most trusted motorcycle accident lawyers, my involvement in the motorcycle community, and my experience in riding, repairing, and maintaining my own bike has given me the knowledge and contacts to help keep the insurance companies in line when it comes to determining what your bike is worth. For more information about how to get the most favorable property damage recovery on your bike, call my Pennsylvania motorcycle accident law firm and speak with me, Lee Gaber, Esquire at 1-888-292-5352 24/7. Consultations are free for Pennsylvania and NJ accidents.